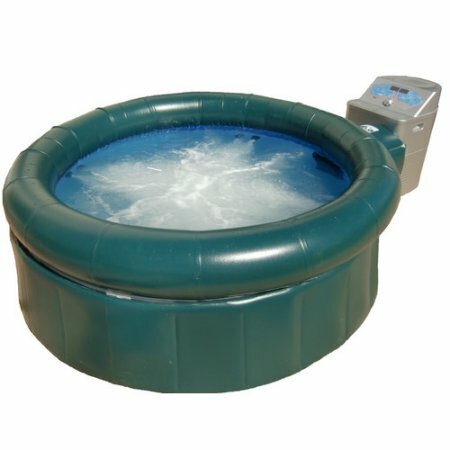 A portable hot tub is such a great choice for you who want to have a spa asset at your house which doesn’t cost too much and more practical than the acrylic spa. It is good for your relaxation time after struggling in rough days. So many portable hot tub products that you can purchase, online or off. Walmart offers several portable spas in great deals from various brands. They are really worth to consider if you want to have one in your backyard. 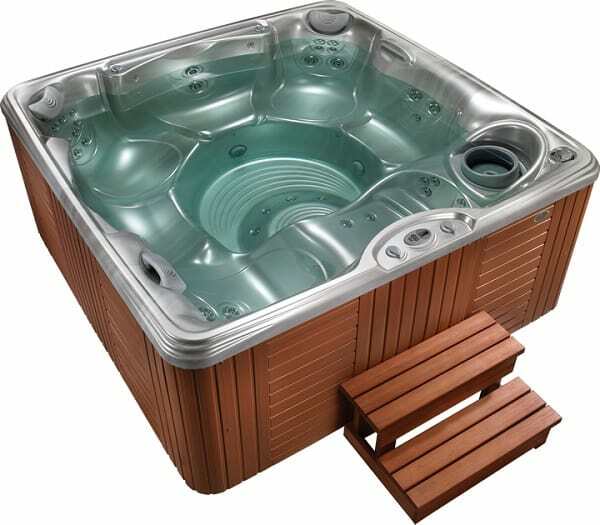 The InstaSPA Deluxe is a Walmart Portable Hot Tub which offers great spa features and attractive design. If you are looking for a mid-range portable hot tub that can occupy 4 people, InstaSPA is a worth to buy. 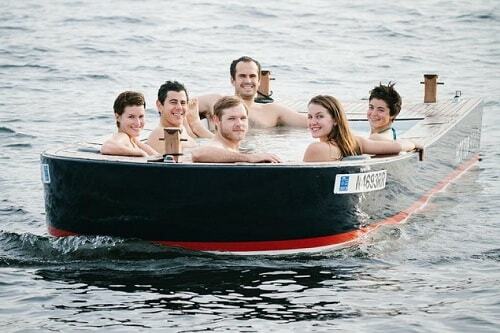 It is such a good recommendation for a 4-person hot tub product. 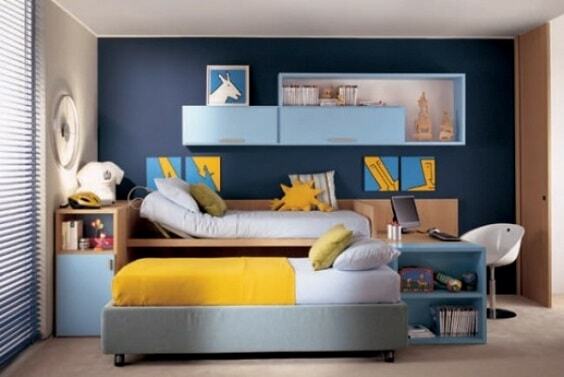 This model comes with 108 x 77 x 28 in inches dimension and can fit for up to 4 people. The tub is made from durable PVC material which quite resistant to sharp elements and hard weather condition. The material is lightweight, makes it easy to carry everywhere, and placed both indoor and outdoor. 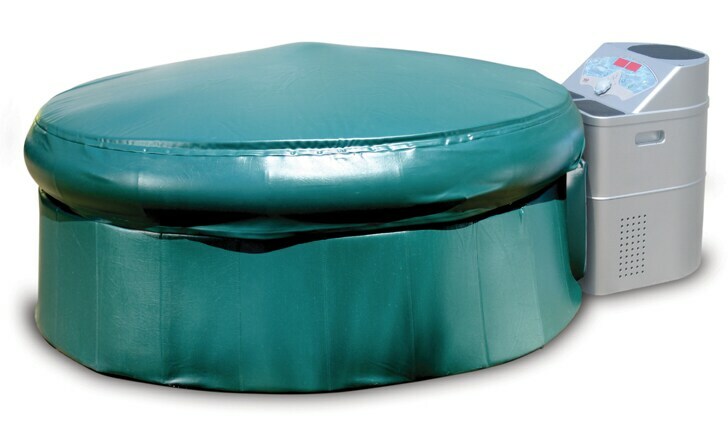 You will find the lockable and child-safe cover which protects the hot tub from rain water, dirt, and debris. 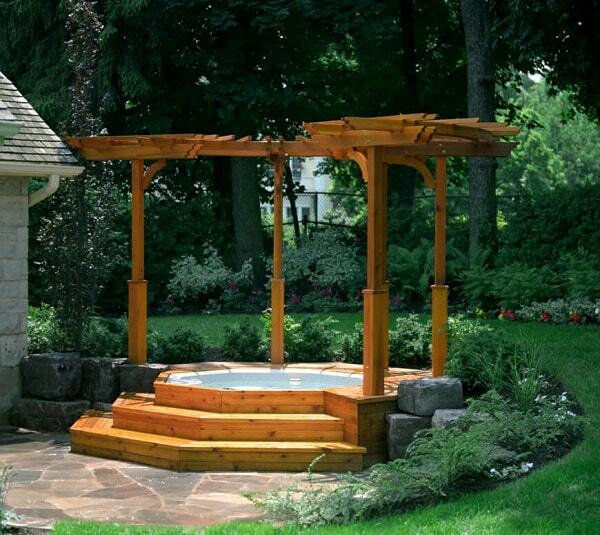 The hot tub cover can hold up to 4 feet of snow, make you worry free to put this spa in your backyard during the winter. There are 8 powerful adjustable messaging jets which will massage your stiff muscles and improve your blood stream. The 1.5 hp motor supports the jet power along with the 1250 watt heater. For your convenient spa sensation, the tub can reach 104 degrees F maximum temperature which is automatically maintained by the heater of the tub. The included filter also works well to ensure the water as clean as possible. The manufacturer stated that you will only have to spend as cheap as around $1 for operating costs in the summer temperature. The spa walls also come with the insulation to keep the heat stay better in the tub. 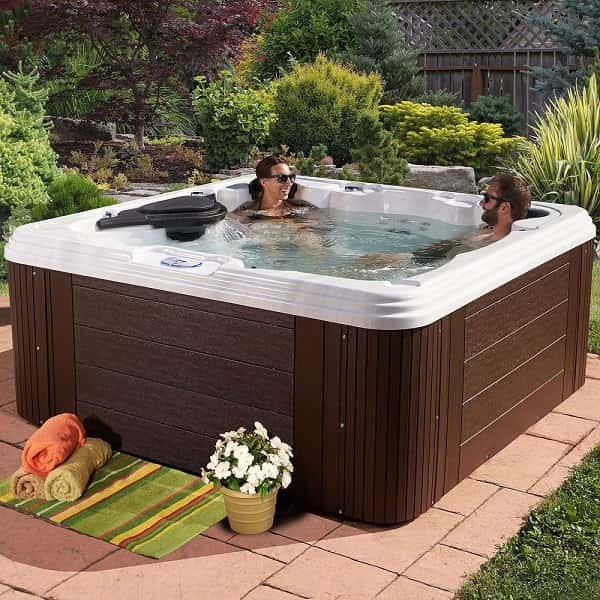 It is a ‘plug and play’ portable hot tub which means it is so easy to install. The set up process only needs one person without any special tools are needed. Plug the spa into 110 Volt electric outlet, and it is ready to go. 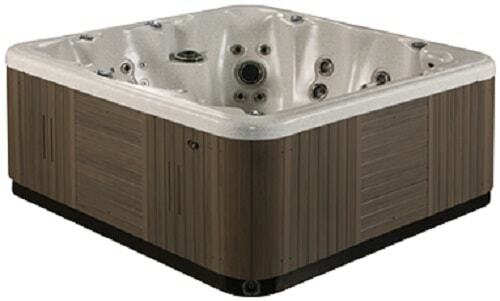 At Walmart portable hot tub selection, the InstaSPA Deluxe Portable Spa is sold for $1,089.99. The InstaSPA Deluxe is such a great choice of 4 people portable spa with durable material and convenient powerful jets. 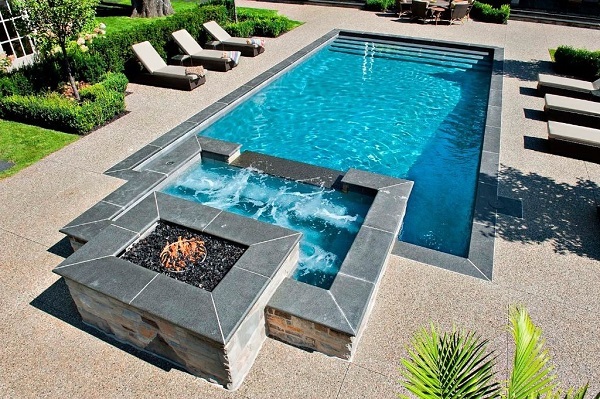 This hot tub can be used in any weather condition without feeling worried about damaging the construction. It’s is so easy to install which makes it so practical to use anywhere you want. The price is quite reasonable for such a reliable portable spa.